When it comes to building and growing your real estate business, marketing is essential—marketing your brand, marketing your listings, and marketing yourself. Each of these real estate marketing tasks requires a vast amount of your time and energy (or blood, sweat, and tears). Luckily, there is another marketing path that requires little time and no tears: Affiliate Marketing with Real Estate Express. According to Wikipedia, “Affiliate marketing is a type of performance-based marketing in which a business rewards one or more affiliates for each visitor or customer brought by the affiliate’s own marketing efforts.” Translation: You are paid a commission for driving customers to a business. 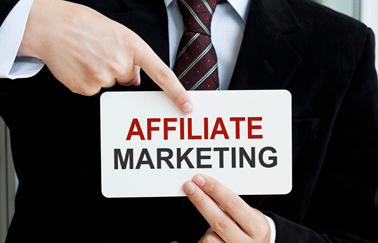 How does affiliate marketing relate to you as a real estate agent? You can increase your bottom line without any cold-calling, sign-posting, or open houses. Simply place an affiliate link on your website that directs those interested in a real estate career to our online school. The more prominent the link, the better the result. You can also include the link at the bottom of your emails or post it once a month on your social media accounts. Use your existing real estate marketing database to generate a new stream of revenue. Being an affiliate with Real Estate Express goes beyond most affiliate programs. With our Partner Affiliate Program, you can enjoy affiliate partner benefits to make recruiting new real estate agents easier. Use the Manager Dashboard to track not only who has enrolled, but how far along each candidate is in his/her course. Get listed on our career network so our graduates have a way to contact you for career opportunities. Not hiring new agents? No problem. You are not guaranteeing employment, just providing a great resource for those who are interested in the industry. Ready to increase your real estate revenue without additional work? Get started today by filling out the application at www.realestateexpress.com/affiliates. Start enjoying all the benefits of being a partner affiliate in less than a week.